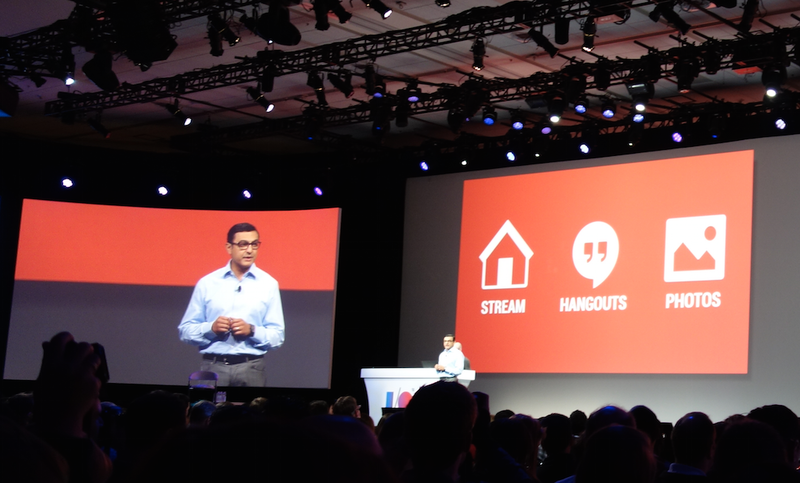 Vic Gundotra, VP at Google and master of all things Google+, announced today that he is leaving the company after 8 years. Gundotra announced the move himself in a post on Google+, stating that it is “time for a new journey,” although, he also mentioned that now isn’t the “day to talk about” specifics of that. Instead, Gundotra wants to celebrate his past 8 years with the people he worked with at Google. Re/code has added some depth to the move, noting that VP of engineering Dave Besbris is rumored to be the next in line to run Google+ and fill Gundotra’s role. Larry Page has reportedly confirmed that the departure is immediate. Gundotra is best known for his work with Google+, helping both create and then turn the once “ghost town” of a social network into a thriving platform that has 300 million active users. Google enthusiasts may also know him from his time on stage at Google I/O conferences, often taking subtle jabs at the competition whenever a new Android feature is unveiled. His personality is pretty addictive – the man always seems so calm, yet passionate. No one knows exactly where Gundotra will end up, if he already has another job lined up, or if he is simply going to take some time to reflect on life. In his departure post, he mentioned the recent passing of his wife’s uncle, along with a story from the uncle’s daughter about life and what you are doing next. I guess we will just have to wait to see what that is.